As seen on the Highland Council webpages. 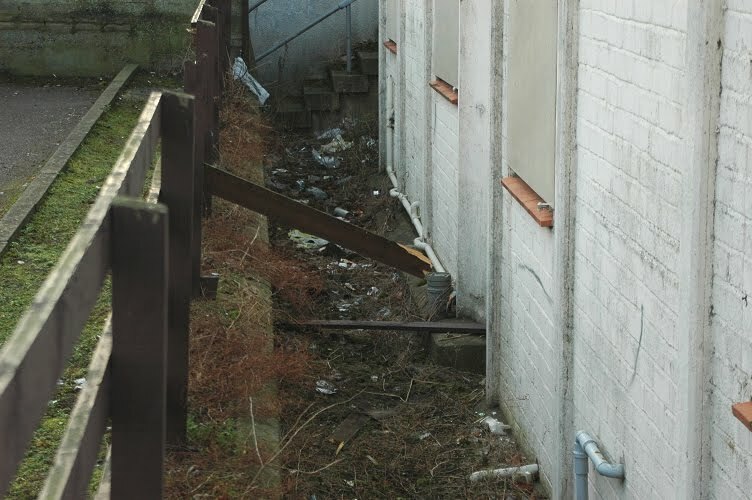 Update: one of our regular readers sends us this picture of the litter and weeds at the back of the old community centre. 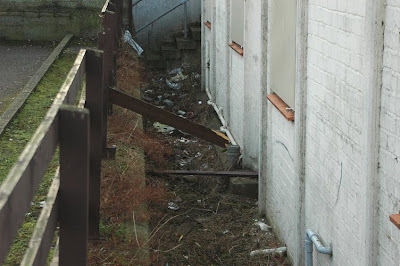 If the demolition is not going ahead immediately perhaps Oor Graham or someone can arrange to have this area tidied up? Well Naran, that's permission granted anyway. What is needed now is a statement from the Council about when it is going to go ahead. Just gee us a shout nae a lot o work on at the moment me & ma sqad o Loons are fair muckle dandy we oor bulldozers it widdna tak us long mind & oor work is o the highest standard, it wid mak a lot o sense & ah wee back hander fae the council is all that wid be needed tae set the ball rollin, & ma loons dinna Caper like that feel bird thats I goin in faks gairdens, hope tae get a bitty o cash in ma sweaty palms shortly fae that awfae fine folks at Glen Urquhart Rd, Sneckie, cause I promised the bairns I wid tak them tae Puerto Polensa for their holidays, if we go I will send you all a postcard that a promise.